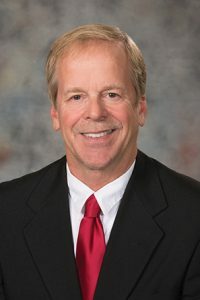 Under LB513, introduced by Albion Sen. Tom Briese, if a school district’s property tax valuation in the previous calendar year consists of at least 75 percent agricultural or horticultural land, a successful school district bond election would require at least 60 percent of those voting on the question to approve. In other districts, at least 50 percent of voters would have to approve before bonds could be issued, as currently is required in all districts. The bill would apply the same requirements to elections to issue bonds used to pay for abatement projects, such as the removal of environmental hazards or accessibility barriers. School boards currently are not required to hold an election before issuing such bonds. Briese said requiring a supermajority vote would make bond elections more fair to farmers and ranchers, who pay a disproportionate share for school building projects relative to other property taxpayers because of high agricultural and horticultural land valuations. Mick Mines testified in support of the bill on behalf of the Nebraska Corn Growers Association and six other agricultural groups. He said the bill could be part of a package of measures to reduce property taxes on Nebraska farmers and ranchers, who pay a disproportionate share of the property taxes used to fund local government. Colby Coash testified in opposition to the bill on behalf of the Nebraska Association of School Boards, saying voters should have an equal say in whether bonds are issued. He said school boards consider all property taxpayers when deciding whether to hold a bond election. The committee took no immediate action on LB513.